These are all indicative of the importance of spending time relaxing, softening, slowing down, uniting body, mind, and spirit, breathing deeply, and moving the body systematically to achieve a balanced, harmonious flow of energy, blood, and body fluids. Interestingly for me on this recent holiday, was the noticeable fact that wasn’t until around day three of the holiday that the state of my body, mind, and spirit had slowed down considerably and changed for the better. Now many of my practices are actually geared to enhance the parasympathetic state! So what hope does the average modern human have, when every week I am doing many things to try and achieve this rest and relax feeling anyway! So what have these above ideas of Qi (chi) and Yin and Yang actually got to do with our martial practices? 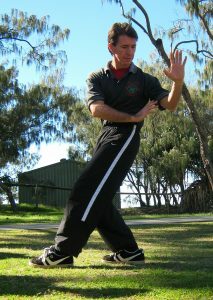 Firstly, to gain the benefit of any Qigong for martial arts practice we need to slow down. We slow down our movements, although they are not always soft. Take the Tong Long Qigong sets for internal power, or the Diamond Body stance of SteelBody Qigong. We slow down and deepen our breathing and we slow down our mind to immerse it in the physical actions taking place. This slow practice lays down the neural pathways needed for effective action when you need to put the techniques into rapid application for self defense. A nervous system in a constantly excited state will detract from the effectiveness of this type of training. This state will also maintain unwanted, often unnoticed tension in your body. The greater the tension or the more global it is in your body, the less chance for Qi (chi) to gather, condense, and flow. 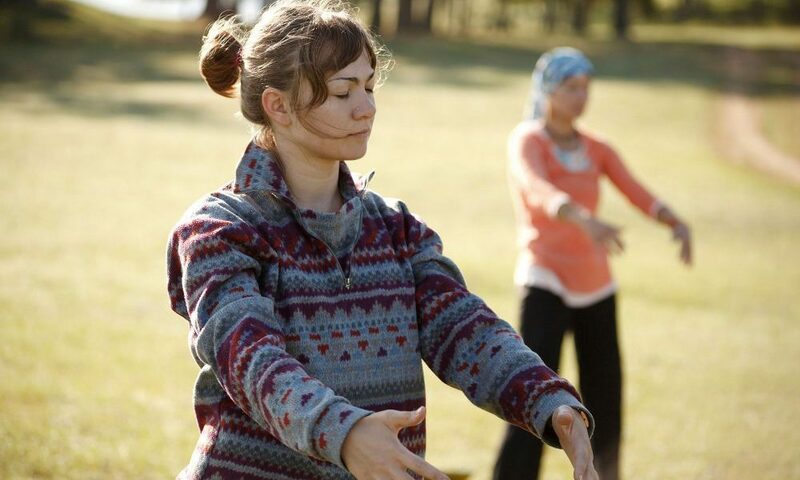 Qigong is all about a strong and unimpeded flow of Qi (chi), which then underpins your Kung Fu or Tai Chi. Secondly, long term physical practice without the proper breath training and meditative concentration will only leave you with an external shape that relies on your muscle power. As you age this is not enough to be able to produce dynamic speed and power. Hence, the idea of having ‘empty Kung Fu’ in your later years. Both my Tong Long Kung Fu and Xing Yi Quan teachers are great believers in the importance of Qigong training to support the more martial practices and applications. The proof is in the pudding when you look at their abilities. Lastly, the ancient Chinese were very aware of the cycles of Yin and Yang occurring around them. They quickly realised they were a part of these natural cycles and were being influenced by them. They came to understand they actually had the same cycles within their bodies. We need to work to maintain a balance of Yin and Yang to keep our health, vitality, wellbeing, and longevity. Without this balance our training can be in vain. I have seen students grade and it is obvious their Qigong practises have not been trained enough. There is an ‘emptiness’ in the physical skill, a lack of whole body connection and integration, and a ‘lightness’ to their Sun (concentration). It is an imbalance of Yin and Yang that results in the excitation of the nervous system and the fight or flight mode. Of course, fight or flight is ideal if you are entering combat, but when you want to improve the foundation of your techniques the opposite state is more useful. (That is not to say we should never train in, or for, a flight and flight situation. It is why we use Kung Fu and Tai Chi jongs or sparring, and fast or eyes closed Tai Chi forms practice). It is also important to train your Qigong if you wish to be practising in your 70s, 80s, and 90s. Right now Grandmaster Henry Sue is the obvious example of this. He has been training for over 60 years and is now 75. He practises his Qigong and meditation every day. He trains his Tong Long Kung Fu and Chen style Tai Chi six days a week. And now at 75 his speed is still increasing, his power is multiplying, and his ageing appears to be slowing down. His Qigong means he relies more on his mind and energy than his muscles to produce his Kung Fu. So, if you can detach from your everyday routine of rapidly treading water in the river that is modern day life to take time out (not necessarily a holiday), then place great focus on turning down the excited sympathetic nervous system while turning up the peaceful parasympathetic nervous system. From there dive deep into the still lake that is Qigong. 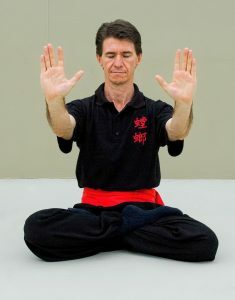 You should practice specific Qigong methods (breathing and meditative exercises) but also use Qigong to influence your Kung Fu, Tai Chi, stretching, and cardio training. Your skills will be improved and your health enhanced for the long term. Of course, if you can holiday in Lightning Ridge then even better!